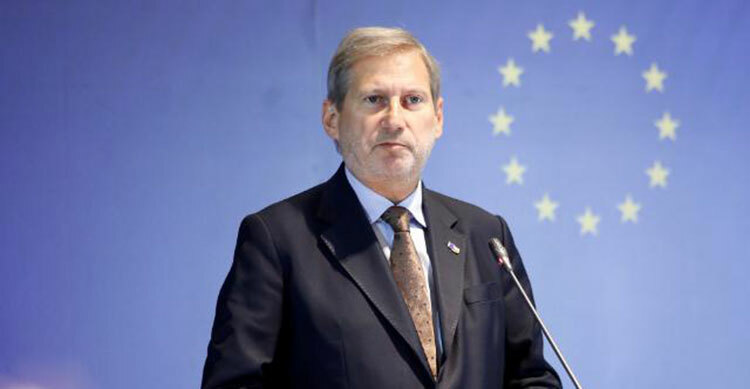 European Commissioner for Enlargement Negotiations Johannes Hahn said the goal of the EU should be that Serbia and Kosovo reach an agreement by mid-2019. “Reaching an agreement by mid-2019 should be our goal. Delaying won’t make things better – we will have a new Commission, a new High Representative. This means starting the process all over again,” Hahn said. In an interview with Macedonian news agency MIA, Hahn said that he believed all parties are aware of the stakes, of the reality and possibilities, Beta reports. Hahn said that the dialogue – facilitated by EU High Representative Federica Mogherini – “should allow Serbia and Kosovo to enter the negotiations openly,” but added that the solution must not be sought at the expense of the other side. “It is clear that everyone is aware of their international commitments and concerns and I think the whole picture is well summarized by the following: Any bilateral solution in the region should be viable and contribute to stability and prosperity. It must not be sought at the expense of the other side. On the contrary,” EU Enlargement Commissioner said. According to him, the solution must further contribute to the overall goal, i.e. making all six Western Balkans countries members of the EU, sooner or later. As he put it, that is the only way to resolve disputes in the region in a sustainable and lasting manner. “The entire concept will fail if only two or three countries join the EU, leaving the rest behind. Such an outcome won’t bring stability in the region. On the contrary, the exact opposite would happen,” Hahn said.